Home > News > Latest News > Sleeping out is rough. Who cares? 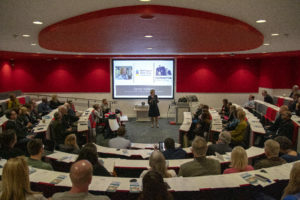 A summit called by Street Support Action Group Southampton to tackle rough sleeping in the city took place yesterday with around 100 delegates attending, representing more than 45 different organisations together with individual citizens interested in the issue. 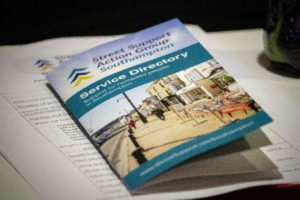 The summit presented the progress made by the partnership since starting in early 2018, highlighting the prompt set up of the Southampton page on the street support website and the important work on the charter which was signed in September 2018. The summit also heard the news on the Rough Sleeping Initiative which provided new funding for additional bed spaces and other services in the city. A second year of funding at an increased level was announced at the summit. Linked to this a new event in May was promoted as the group wishes to engage more landlords in housing provision to meet the need for more move on accommodation. Other initiatives included the 22 container homes in the city utilising otherwise waste ground, Hope Into Action where investors collaborate to purchase property which is supported by both a worker and volunteers enabling social networks for tenants, welcome bags provided to clients at hostels and a wish to develop night shelter bed provision in time for winter 2019. Each organisation signing the charter makes a pledge of what it will do to support the work and Solent University provided funding for a 3-month student placement. 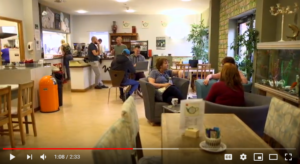 Southampton Solent University’s own creative agency, Solent Creatives has worked alongside the Street Support Action Group to produce a new short video which was screened for the first time. This video seeks to explain the work of the partnership and to help a wider section of the public know what services are already in place. It is supported by new leaflets and a new charter page on the website where people can join in and make their pledges. The conference was concluded with a keynote speech by Sandy Hopkins CEO of Southampton City Council and delegates were encouraged to join the partnership, sign the charter, share the video, distribute the printed material, and follow social media.